Who would have thought that summer can be fun without visiting the famous beach resorts in town? It all started by a simple question “How was your weekend?”, asked by one of my instructors and I replied “Fun, I played airsoft” he..he..he.. I got shocked after I answered that question because My other instructor said he is engaged in that kind of sport, too. It’s cool isn’t it? When you find out that someone in medical field appreciates the type of sport you played. It may sound funny, that we, as health providers, who will someday take care of real soldiers can be trained how to fight like they do… huh! Heard about Airsoft? Let me first define it… According to wikipedia, Airsoft is a combat sport similar to paint ball in which participants eliminate opponents by hitting them with (6mm occasionally 8mm) plastic BBs, launched from airsoft guns, that can be powered by CO2, green gas, spring or electrical powered gearboxes actuating pistons. It is run by players themselves using agreed upon rules and become more realistic and fun if a game marshal controls the flow of play. It may also have game scenarios according to mission type, depending on number of players per teams, in-game objectives and duration of the game. But the most popular game scenarios include center-flag capture or recovery, team flag delivery, hostage-rescue, ambuscades, raid or assaults and death match (all-out elimination) skirmishes. Airsoft became popular when variety types of weapon designed as replicas of real firearms, tactical gears and accessories used by militaries and police came out in the market. I know that whenever you hear about war game simulation the only player you may think of are men. But hey! There are women and children ages 8-11yrs old playing this type of combat sport. I even got some of my classmates interested and made them play with me. Some were also amazed by the moral support that my whole family is giving. As day goes by we never stop talking and sharing good experiences about these games, what’s the newest guns? Or tactical gears? And what store provides the cheapest accessories. This is one summer spent not only with Kapuso but also with Kapamilya with Mom bearing the rank of the general but not in military simulation. But the general of the Mess Hall providing food and drinks for her family while playing the game. Hey, BLUDRAGON, don’t be afraid to leave your comments. Did I present it right? Thanks. Bludragon, thanks for dropping by, My pleasure. Just send me more contributions if you can. Good luck on your final exams. I have found very informative and unique that even a girl would enjoy this type of game. Were typical males are one that enjoy this physical activity that dead with airsoft guns that fire bb’s. As I read the articled I found out that it take allot from each of the player to play fairly and still have the drive too be the best they can. It does make me want to go out and try this type of activity. It cool that all type people young and old males and female can be all part of this type of games. Into something that can be fun by using fire arms in safe and control enviroment. 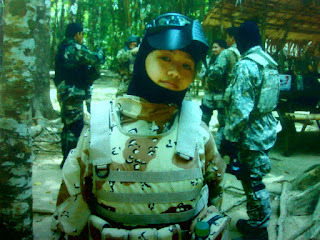 good luck hope you airsoft player—be safe and encourage other girls too join you in such fun activity that is has become too you. Speedracer thanks for the comment. Yes Speedracer, bludragon is a lovely young lady and she plays airsoft. This game is only for truly responsible adults. I am glad you like the post, Happy blogging!